Edtech Teacher – iPad teaching video tutorial app for schools but some tutorials could be customised for University teaching. 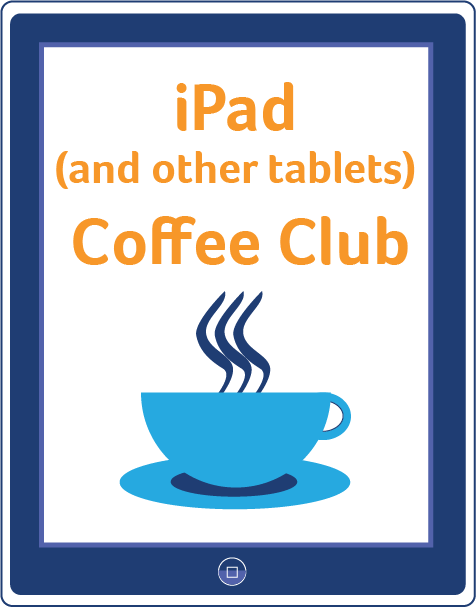 I also got Coffee Club attendees to share the following apps via Padlet. If you want more apps then go to the University of Huddersfield’s iPark website for a useful list of categorised iPad and Android apps. I remotely connected my iPad to the projector using the Air Server software for app demonstration purposes and experienced WiFi connectivity issues during the session. This was frustrating as it disrupted the flow of the event. I was repeatedly logged out of Air Server and had difficulty connecting with the software because the WiFi connection was unstable. The Padlet activity which required Coffee Club attendees to access their mobile web browsers in order to do the task was also affected by the poor WiFi connection. Poor institutional WiFi infrastructure is one constraint preventing academics and students from maximising the use of smart mobile devices for teaching and learning purposes. This problem is prevalent in the HE sector and until it is resolved, the power and potential of M-Learning in HEIs will not be fully realised.